My book club/writing group buddy Jessica Love landed a book deal for her novel In Real Life, to be published in 2015! My brother-in-law launched a website for his company, Darkvale Studios. Grace and Lace continues to blow sales out of the water, and they are now able to expand Angel House more than expected. My writing group buddy Kelsey Macke released an EP with her husband Daron under their duo name of Wedding Day Rain. If you like romance, Macy Beckett’s first novella in her new The Dumont Bachelors series, Make You Blush, releases today! Macy Beckett is the pen name for Melissa Landers, my writing group buddy who writes the Alienated series. I come from a bookish family. My parents have shelves full of books, and my mom made sure we always had access to reading material. I learned to read at a young age, and never stopped. My siblings are all still avid readers, though our tastes all differ. As a pre-teen/teen I began writing, first in a journal (including a ridiculous 100+ page monstrosity dedicated to just one boy, and probably evidence of early stalker tendencies), then short stories and poetry. None of it was mind-blowing, but it was an outlet that I needed. It’s an outlet that I still need. It’s no surprise that as an adult I sought out an online community of book fanatics, and over the past 6 years it has blossomed into a group of true friends. Some of them blog about their reading experiences (check out We Still Read), some of them write, and some of them just devour books on the daily. A small group of us formed a writing support group, mainly for support during National Novel Writing Month (NaNoWriMo) a few years ago. Life has stalled my writing plans (though I have a ton of unfinished material waiting on me when I’m ready), but several of my friends have pushed through, worked diligently, and found success. I will do whatever I can to get their material into the hands (or e-readers!) of as many people as possible. I am so, so proud of each of them. The first to publish this year is Melissa Landers. 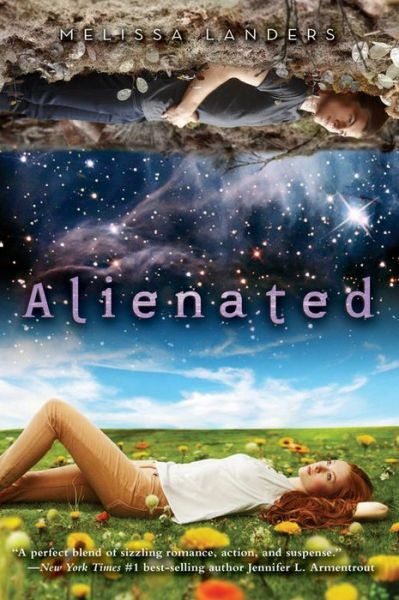 Her debut Young Adult novel, Alienated, was released in February 2014 and is the first book of a series. Alien exchange students. Witty dialogue. Drama. Definitely check it out. Melissa also writes romance novels under the pen name Macy Beckett, including the Sultry Springs series and the upcoming Dumont Bachelors series. Also coming up this year from my book nerd/writing buddies: Push Girl by Chelsie Hill and my friend Jessica Love, and Damsel Distressed by Kelsey Macke. I’ll post more on these closer to the release dates! Also, head over to my Project365 page to see my pictures from yesterday and today. Um, it isn’t my imagination, right? 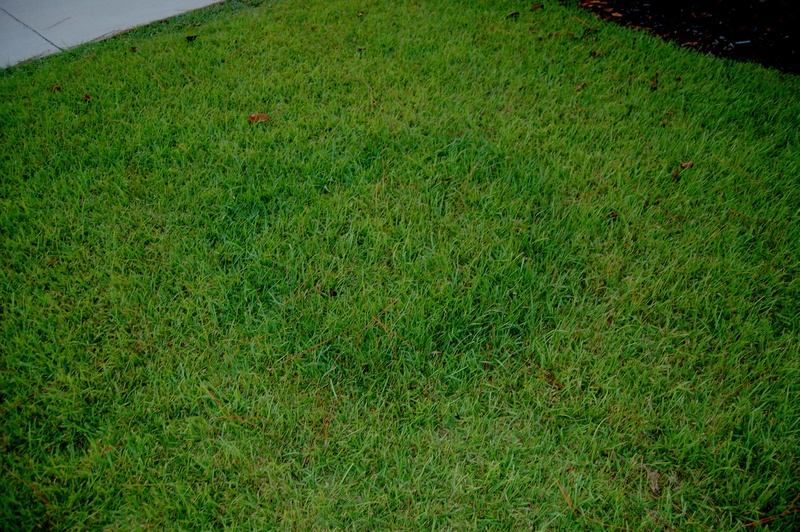 There’s some weirdass circle of darker grass in my yard. Anyone know what is causing it, or is it just random? 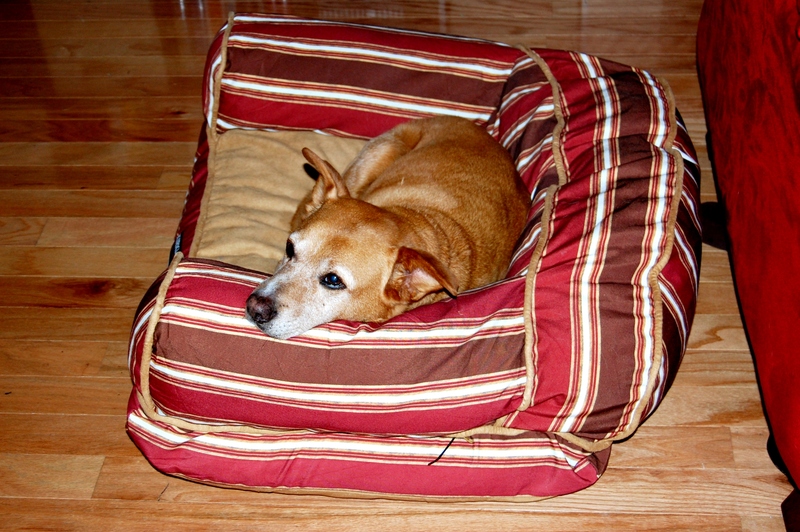 Today’s pic: Bobo in the new Costco bed. I bought just one, and Bo & Bean seem to alternate sleeping in it. I love how they share everything. So, I’m starting a new blog. Sounds stupid, since I have a hard time keeping up with the ones I have. House blog? Occasional update (my IRL friends and family only have this link anyway). Bo & Co? Slackers, both of them. This blog has even been crap lately. So, why start another? I’m determined to finish my 2009 NaNoWriMo Work-In-Progress. It doesn’t have to be publish-worthy. It doesn’t have to please anyone except me. I just want to see this project through to completion. It drives me insane that I’ve written half of a novel and not finished it, especially since I know exactly where the story is going and I have a pretty good idea of how I want it to end. I just lost steam after NaNo. It was an intense month of writing, and I have thought and thought about the WIP ever since. Now I just need to get it on paper. For some reason, every time I open the file, I read a page or two and turn it off. I find myself wanting to revise, but I need to actually complete the rough draft before I think about revising. So, I printed out a hard copy of everything (front and back, wide margins, don’t worry – tried to be as eco-friendly as possible!) and stuck it in a binder. I’m going to force myself to JUST read. No pen in hand to make corrections. I want to see how the story works without thinking about what I want to change. I also have 2 screenplays pending, thanks to ScriptFrenzy 2009 & 2010. One is complete at 103 pages, but needs crazy amounts of revision. The second is sitting at about 104 pages, but isn’t complete. I’ll keep track of the progress of those on my new blog as well. And then there’s NaNo2010. I have an idea, so I’ll have yet another partial draft sitting out in space. I think I’ll also discuss books & reading on the new blog. I haven’t decided yet. When I get everything up and running, I’ll post the link. I’ll link this (my personal blog) to my writing blog, but I won’t link back. The new blog will not have any discussions about my personal life, photography, infertility, 101 in 1001, etc. I also opened up a new twitter account just for discussing writing/books. My personal twitter (which still will get constant and obnoxious tweets) is linked at the top right. Even though the script isn’t finished (my characters were too chatty. It needs editing and will probably be 130 pages or so in rough draft), today I hit my 100 pages needed to win Script Frenzy 2010. Yay! I’m so glad I got ahead before my vacation, or else I’d be frantically hitting the keyboard right now. It still doesn’t have a title. Maybe I’ll let someone beta and see what they come up with. Congrats to my fellow Script Frenzy winners! So…I decided to take the plunge and participate in Script Frenzy 2010! This means, of course, that I’m late to the game! I started yesterday and I’m up to 12 pages. 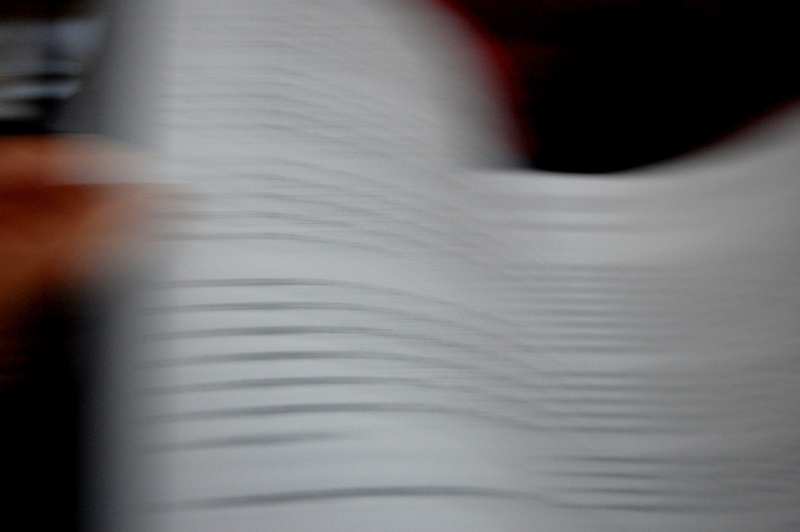 To keep pace with the goal (if starting with Day 1) one has to write 3 1/3 pages per day. I need to not only catch up, but PASS the pace since I’ll be offline for my trip toward the end of the month. I’ll probably bring a notebook and handwrite while on vacation, but I’ll still have to come back and type it up. Luckily I type fast! Wish me luck! I would like to say I write better under pressure, but the fact is that I ONLY write under pressure. Without a concrete deadline, I completely lack motivation to do one of the few things that actually makes me feel like I’m getting rid of my demons. This is not a check-off, but simply a check-in. So, the status of my novel right now is a little over 50K words, but it is probably less than 1/2 finished. I realize I worded this goal as “finish an 80K word novel,” but I think I’ll check it off when I finish 80K OF my novel, even if it isn’t finished at 80K. Accomplishment not on the list! Though not on my list, I accomplished something in April that I thought was worth mentioning. On my online book club, someone mentioned a writing challenge that takes place annually during the month of April called Script Frenzy. Essentially, the challenge is to write 100 pages of a screenplay or play in one month, and track your progress on the Script Frenzy website. Having never written a screenplay before, I decided to give it a try. I found a website – Scripped – which helped with the proper formatting, then plugged away a few pages daily. I ended up finishing with a little time to spare. The script is still very rough – I haven’t even read it in its entirety since I finished – but it did teach me some much needed writing discipline.